AMS-Endo announces Vaginal Mesh lawsuit final settlement, as reported by Bloomberg News. Endo Pharmaceuticals, the owner of American Medical System (AMS) agreed to another $775 million to settle vaginal mesh injury lawsuits. AMS-Endo Announces Vaginal Mesh Lawsuit final settlement. 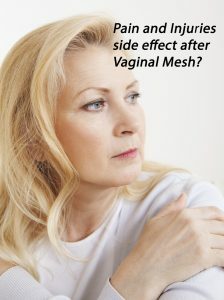 AMS-Endo Vaginal mesh and bladder sling for repair of pelvic organ prolapse and urinary incontinence may lead to pain, further surgery, recurrence of symptoms and erosion of the devices through soft tissue. Endo has paid more than $2.6 billion to settle “virtually all known” vaginal injury claims.